There is nothing more delicious to me than a warm, homemade cookie. I bake a lot of cookies and I do mean a lot of cookies. My husband and I have 13 grandchildren so there are never too many cookies. I don’t bake a downsized recipe for my cookies but I have been asked to create a recipe for this. 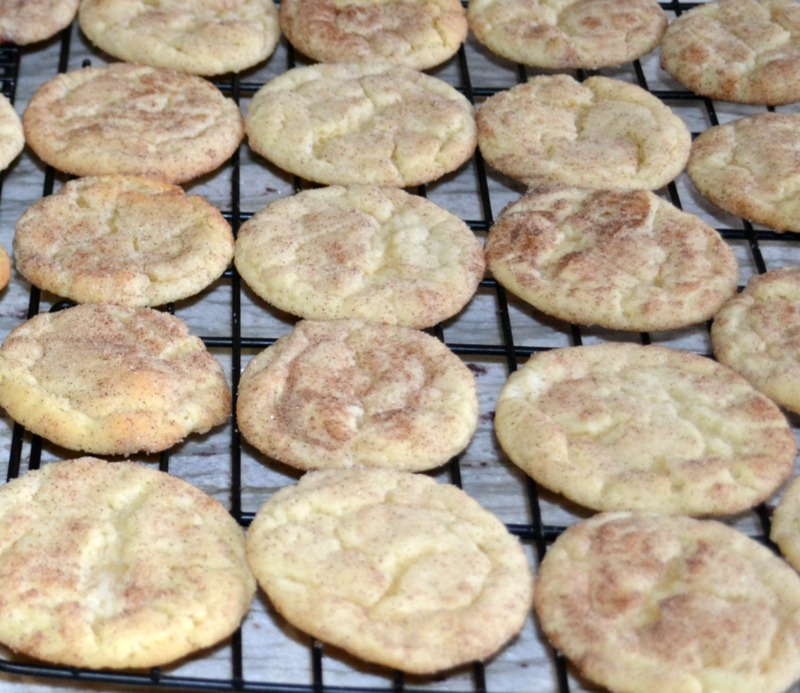 I created a recipe for Snickerdoodles as the base cookie because any variety of ingredients can be added to them. Some of my favorite additions are dried blueberries with almonds or cranberries and pecans. I have used fresh and dried cranberries and they both work wonderfully. I love to mix up a glaze to drizzle over them also to really add variety. This recipe only makes 1 1/2 dozen cookies so if you don’t want a large amount, this is perfect. Make this basic recipe and add your choice of fruit and nuts. 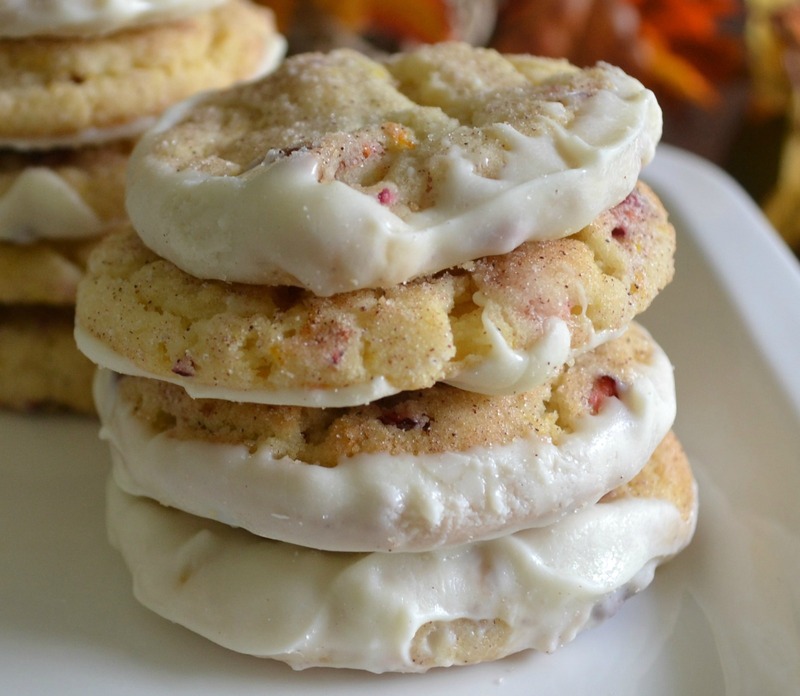 The cookie in the first picture has cranberries, pecans, and is dipped in melted white chocolate. 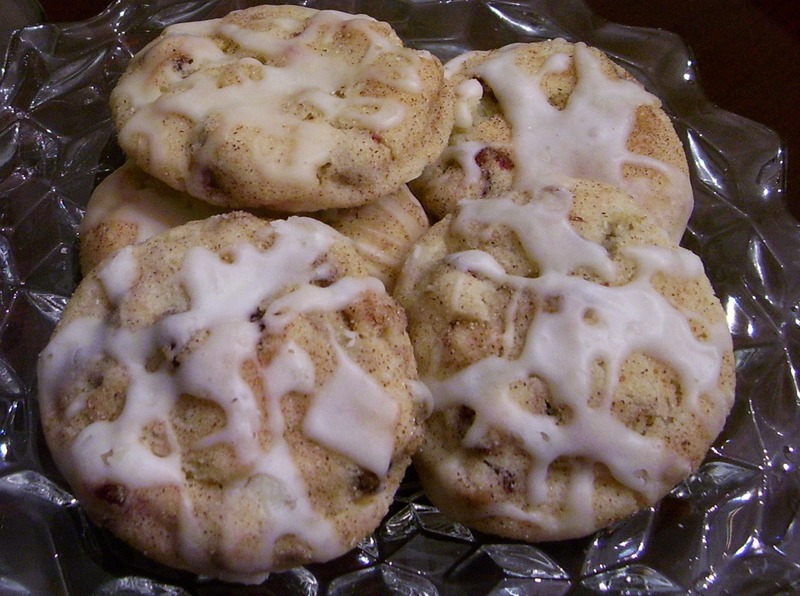 The second one has dried blueberries and almonds added to the snickerdoodle dough. In a large mixing bowl, using an electric mixer, cream the butter, shortening and 1/3 cup sugar until light and fluffy. Beat in egg. In a medium size bowl, combine the flour, cream of tartar, baking soda and salt. Gradually add to the creamed mixture and beat together only until combined. Stir in the almonds and blueberries. In a small bowl, stir together the remaining sugar and the cinnamon. Shape the dough into 1 1/2 inch balls, using a scoop or teaspoon. Roll each ball in the cinnamon sugar mixture. Bake for about 9-11 minutes or until edges are light golden brown. Remove from the oven and allow to set on pan 5 minutes. Transfer cookies to a cooling rack. For the glaze, stir together the confectioner sugar and 1 teaspoon milk until smooth. Add additional milk in small amounts as needed to obtain consistency to drizzle. 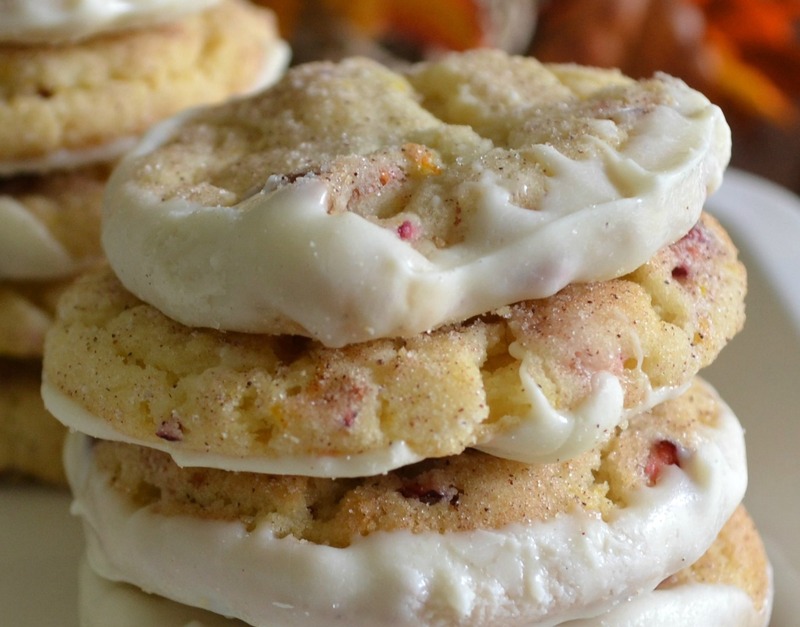 Drizzle over the tops of cookies. Downsizing a cookie recipe isn’t something I need to do either — I have Grampy! Those would be just enough for him! But they sure do look delicious and I can see where it would be a great idea!